The MTOP, otherwise known by motorcycle drivers as the Motorized Tricycle Operators Permit is a very valuable document for qualifying to use your motorcycle for business or tricycle for hire to passengers may be applied for. There are certain local municipality and city ordinances that govern its implementation, application, qualification, fees and charges for the document and requirements to be able to qualify to apply. If you own a vehicle, please read important notes below. Note that this document is also important if you are an operator and you want to use your unit to apply for a tricycle loan. Upon a comprehensive research online for other payment modes and how much the operators and drivers of tricycle are charged, I found out that in areas like Tagum City, the full charge for MTOP application costs Php 1, 150.00 which will be paid to the city Treasurer’s Office – Licensing Division and it only takes about 5 minutes to fall in line in this city. You can also find a list here – http://www.mexicopampanga.com/index.php/investors-guide/ordinancesresolutions/tricycle-franchising.html. I. Only Filipino citizens who are actually residing in the municipality and other juridical parties doing business in the municipality and whose capitalization is Sixty Percent (60%) owned by Filipino are qualified to operate and maintain tricycles-for-hire and motorbikes-for-hire. 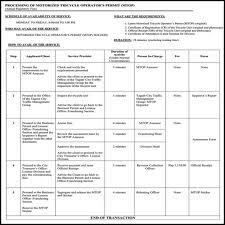 Application form for the MTOP may be secured from the Office of the Franchising and Regulatory Board in your local municipality while The Motorized Tricycle Operator’s Permit shall be valid for a period of three (3) years which is renewable every three years also. 1. Produce and present the list of requirements. 2. Present the tricycle unit to the local municipality or city hall (Traffic Management Group (TMG) office. 3. For assessment of fees and charges to pay, please go to Business Permit and License Office – Franchising Section and present your documents from the inspector’s report. 4. Pay and get receipt to the City Treasurer’s Office – License Division of the full charges incurred for MTOP application. 5. Secure the MTOP and sticker at the Business Permit and License Office – Franchising Section. report ko po ung license ko nawala po last oct.16,2012! good pm…i just want to ask about my lost and expired licence..how much is the cost for renewal expired and lost? 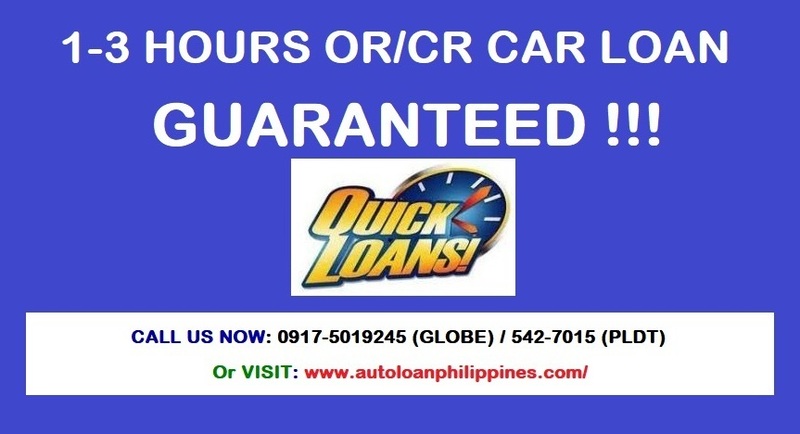 ?..thank you so much..
gud pm po.sana maaprubahan na ung transfer of ownership namin na hanggang ngayon ay nandiyan pa sa evaluator sa lto caloocan.na habang tinitingnan ko po ung requirements.ay un naman po ay na accomplished naman po namin.salamat po. would just want to clarify some points i hope my queries would be answered. 1. could a TODA president implement an order wherein drivers who wnat to be part of their existing TODA would pay more than ten thousand pesos? 2. can police officers catch drivers who are putting up TODA in our place? do they have the power to impound vehicles simply because driver doesnt have his license with him? said driver was not driving at the time they they were brought to the precint. 3. actions of said policemen were because of the complaint of the TODA president mentioned above- is it legal especially since no formal complaint nor any document was shown to the drivers mentioned in number 2? 4.can other drivers not form their own toda especially since membership fee in already existing toda is very high? i would appreciate if your good office would shed light on my queries. Who handles the tricycle fare in Cabrera, Tramo and Protacio Pasay? Who should I be talking to? The reason I ask is that some tricycle drivers ask passengers (alone or with someone) to pay P30 just from Vergel cor taft to Tramo cor Protacio but some drivers don’t. Should there be any sign indicating the said fare where passengers can see them? Who should be handling this? What documents should tricycle drivers have on them when they are driving the vehicle? Should it REALLY be P30 for that matter? I hope i get answers soon because some drivers are ripping off passengers who are working hard to earn money AND paying the CORRECT TAXES. FYI, there are a lot of colorum tricycle here too. Thank you. pag kumuha po ba ng franchise ng trisikel ilang months or years po ba ang validity ng nasabing franchise na kinuha.. for example kumuha ako ng october kelan po ang expired nito? january po ba kailangan ko ng mag renew ng franchise ulit? Ganito po kasi ang nangyayari dito sa bayan namin..
nais ko po humingi ng opinyon sa inyo kung ano po ang aking gagawin, meron po akong tricycle na pinahulog tarya ko po ng dalawang taon ngunit di po ito natapos sa dahilan po ay bigla nalang nawala yung taong may dala nito narecover ko po yung tricycle sa ibang lugar na nakapadlock kinuha ko po ito dahil di naman sya don nakatira,hinintay ko po sya ng higit isang taon di naman nagpakita sakin yung taong pinagkatiwalaan ko ng aking tricycle,ngayun po ay pinakondisyo ko na ang motor at tricyle binilan ko ng bagong sidecar ang problima po ay ayaw po kami bigyan ng clearance ng samahan para po sana marenew ko na mga prangkisa nito, dahil daw po ay magbabayad po kami ng butaw mula noong natenga ang trike hanggang sa kasalukuyan,at babayaran ko daw po ang tinatawag nilang priority pay samantalang bago ko binigay ang motor don sa taong pinagkatiwalaan ko binayaran ko na lahat yun sa samahan ang mali ko lang po ay pinangalan ko na don sa tao para po di na sya gumastos pag natapos nya ang term, ano po tamang gagawin namin? how to avail personal loan? and how much would it be? thank you. ASK KO LANG PO MAY TODA PO SA HARAPAN NG HOUSE KOLORUM NA NGA WALA PANG MGA LISENSYA. ANG SAKLAP PA NUN HINDI REHISTRADO ANG TOAD. AW. ANG TODA PO BA KAHIT SAAN NA LNG PWDENG PUMILA? KAHIT PRIBADONG LUPA? TULAD SA HARAPAN NG BAHAY? SAN PO BA PWDE IREKLAMO MGA ERE? sir tanung lang hu. magkanu ba talaga ang tricycle franchising payment sa caypombo, santa maria bulacan. grabe kasi ang bayaran dito pag magkuha kanang linya, 300,000 pesos. Ganun ba talaga kamahal ang mag palinya. ang maka kuha lang talaga nyan E ang mga mayayaman. paanu na kami na ang ticycle namin e utang pa, para maka paghanapbuhay. sana masagut nyo itong hinaing namin. Pwedi bang kumuhan ahente mag lakad nang tricycle registration? sir gudday po. ask ko po kung makatarungan po ba na bawiin ang prangkisa kung paso po ang mayors permit this year. dito yan sa limay bataan. thnks po. mr. sison po. pwede bang irehistro ang sidecar ay puro stainless? Gud day..ask ko Lang po bakit hindi daw po pwede ang magpalinya ng bagong mtor sa lugar namin sa malabon pag bago daw po ung sidecar..Ganon po b un talafa? bumili po ako ng tricycle second hand pinalipat ko po sa pangalan koyun OR/CR sa LTO 2 weeks na po nakakaraan ndi pa po na re release ilang araw po ba talaga ang processing? Good day sir inquire ko lang po, may tricycle ako ngayon na ipinapasada ko po tuwing wala po akong pasok sa work, kumpleto po ako requirements or/cr at municipal permit po para sa pag tricycle. Ang tanung ko lang po sana kasi gusto ko po sana siyang gamitin pang service ko sa work sa manila at i single kaso yellow plate po siya. May iviolate po ba akong law or policy kung ganun at mahuhuli po ba ako kahit na kumpleto po lahat ng papers ko? Ask ko lng po.kailangan ko po bang ako mismo ang pupunta sa mayor namin para mag-papirma ng ng franchise paper para ma relesead yun dokumento nmin..
Muntik nko sagasaan ng silver na kotse dko sure if uber or private vehicle MR 6038, nasa bandang gitna nkmi tumatawid ng pedestrian lane, coming the car sobrang bilis pa akyat ng simbahan p. Oliveros st. Antipolo City tapat ng Mercury, kinabahan ako kc di sya nag SLOW down church zone un walang traffic light, tas pabilis ng pabilis ung takbo nya, napatakbo ako sa pagtawid, tas pag andar nung kotse tinitigan pako. Tama ba un tao ang mag adjust sa nasa pedestrian, gusto nung driver humaripas kmi ng takbo buti di ako nadapa. December. 17, 2017 6:20pm yan. Sobrang bilis ng pangyayari dko na picturan nakakainis na nakakakaba. Sana ma call ang attention nung driver na yan, bastos balasubas. Sorry sa word pero grabeh eh pano kung ma troma na vivictim nila. Pwd nlang basta cla maglagay ng toda? hello po …manghingi po sana ako nang advice..meron po kam i nabili na tricycle tapos 2 years nlng mag expire na yong franchise niya ..ang nang yari po pati po yong motor na ginagamit namin so nag change motor kami for 2 years hind kami nag pa transfer tapos nong e tatransfer na namin tapos renew ng franchise bigla naman denadrop nag original na may ari yong franchise namin tapos hindi na daw namin pdwede bayaran o e renew sa city hall kasi paso na yong franchise namin..ano po ba ang dapat naming gawin ? ask ko lng if sa isang motor vehicle nakapangalan ung franchise tapos intend to transfer ung franchise permit sa ibang motor? what to do? what are the requirements? where to apply the transfer?